My 6-year-old great grandson put a leather bomber jacket on his Christmas list this year. Overstock had one! In his size and for $69! 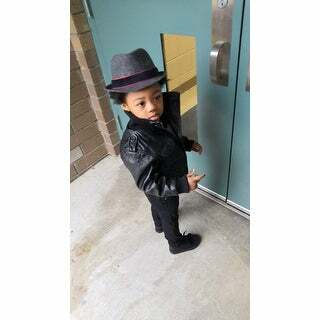 He is absolutely adorable in it! Now I need to find a red toy poodle - a live one less than $1000! 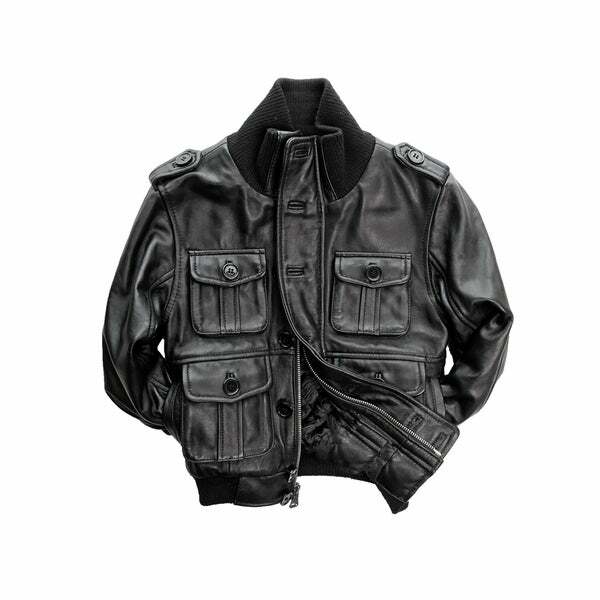 Make him the envy of his class while ensuring he's as warm as he is fashionable when he's dressed in this kids' leather jacket. Made of super-soft black Italian lambskin, this fully lined cool-weather jacket features four oversized pockets that keep his essentials close by. Front zipper closure and leather placket will keep him looking warm and stylish all season long. What a cool jacket. My son will have to grow into it but once he can fit it, it's going to look great on him. The leather is soft which is what I prefer when it comes to a leather jacket. Thanks, Overstock! This jacket is wonderful for my little boy! The leather is soft and supple, and the for is amazing on him! Nice jacket but two out of four buttons fell off.